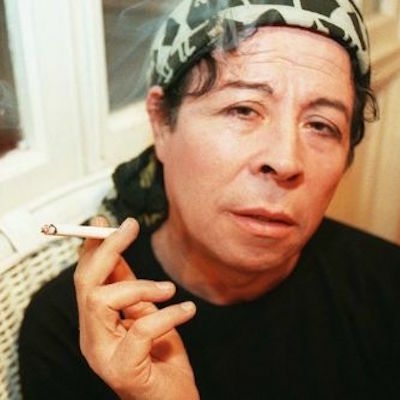 Pedro Mardones Lemebel (1952–2015) was a Chilean writer and performance artist. Together with Francisco Casas Silva, he formed the interdisciplinary art collective Yeguas del Apocalipsis, making incisive work during the final years of the dictatorship in Chile and the uneven transition that followed. The crónicas—originally published as columns in the newspaper or read on his radio show—often describe the lives of the Chilean working class or the transgender community in Santiago, while critiquing the politics of capitalism and dictatorship. Lemebel was the recipient of a Guggenheim fellowship, the Anna Seghers-Pries, and the José Donoso Prize in Latin American Letters, with work translated into English, German, French, and Italian. His only novel, My Tender Matador, was published in English by Grove Press (trans. Katherine Silver, 2005). He passed away from throat cancer in early 2015.